Oracle released Java 12 last week, and the new release can now be installed in Ubuntu, Linux Mint and Debian from the Linux Uprising Java PPA. The new version will receive a minimum of 2 updates, and it will followed by Oracle JDK 13 in September 2019. The release announcement contains information about Oracle Java 12, including what's new. Like previously mentioned, Oracle uses a new commercial license for Java starting with Java 11, so you should use OpenJDK when possible. From Java 11 forward, Oracle JDK builds and OpenJDK builds are essentially identical with a few differences you can read about here. 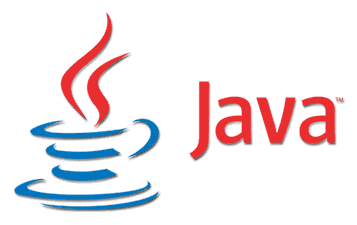 This Oracle Java 12 installer for Ubuntu, Debian and Linux Mint is based on the Web Upd8 Java package with some minor modifications, and it only works on 64bit, since Oracle only offers a 64bit Java 12 binary for Linux. The installer downloads Oracle Java 12, runs update-alternatives for the Java binaries and man pages, and it can optionally set Oracle JDK 12 as the default Java (set JAVA_HOME environment variable, etc.). Want to install Oracle Java 12 and you're behind some router or firewall that doesn't allow downloading the JDK .tar.gz archive from Oracle's servers? You can download the Oracle Java 12 Linux .tar.gz using your web browser or a different computer, then on the computer where you want to install Oracle Java 12, create a /var/cache/oracle-jdk12-installer folder and place the Linux JDK 12 .tar.gz in this folder. After this, install the oracle-java12-installer package using the instructions from this article, and the installer will pick up your local copy of the .tar.gz archive, and won't try to download it from Oracle.